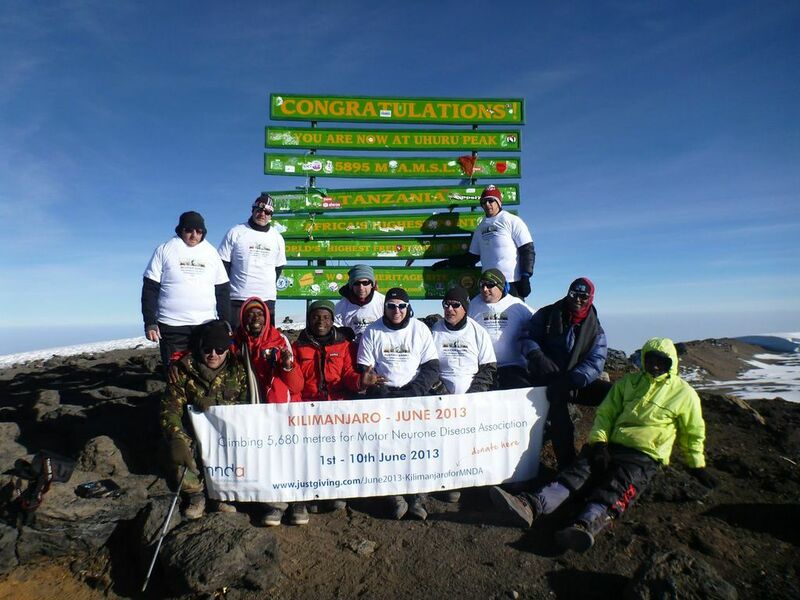 FROME Collegians completed their climb to the summit of Mount Kilimanjaro this week. Managers, players and friends set off on 1st June, a full two years after the idea was proposed to raise money for the Motor Neurone Disease Association. The journey began with a flight to Tanzania where Mount Kilimanjaro – the highest mountain in Africa lies. An overnight stay in Arusha was followed by a four-hour drive to commence the climb via the Rongai route. The route is less crowded than the others. It has a relatively gentle gradient passing through farmland, rain forest and several climatic zones. Four days later the team from Frome arrived at Kibo, from where the ascent to the summit took place. The ascent commenced at midnight with the summit being reached by the team between 7.25am and 8.00am. Members of the team suffered bouts of altitude sickness but this did not deter them in their quest to reach the summit. The climb was dedicated to Alistair Banks who was a coach for Frome Collegians and sadly died in January from motor neurone disease. 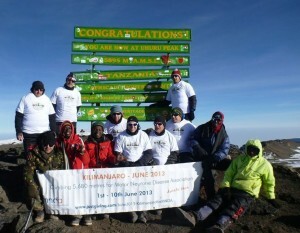 To date, the team of climbers have raised nearly £30,000 for the Motor Neurone Disease Association charity. “The climb was by far the toughest physical and mental challenge I have ever completed,” said one of the team, Adrian Marchment. “Once the summit had been reached, relief and elation were felt by us all. “The Rongai route was one of the hardest routes to complete. We experienced walking through forest, desert and at the summit, the cold. Preparation in all the conditions prior to leaving was difficult but the whole team coped admirably despite the extremes of heat and cold. “We were raising funds for MNDA and were all determined to reach the summit in memory of Alister Banks to whom we were dedicating the climb. “We saw some fantastic landscapes and made friendships which will last forever. There was a lot of fun (including a raven stealing sun cream!) and at the end, a huge sense of achievement.